Everyone can use a little more nutrition in their diets. A lot of the food available on store shelves these days is nutritionally inferior to what our grandparents ate. From the bleached bran-less flours to the tomatoes “developed” for picking and shipping unripe, much of the natural healthy content of common foods is missing unless we eat them in their whole forms. The best way to get the freshest whole foods is to grow them ourselves. Growing ALL of our own food is a pretty lofty ideal. We strive to make progress in this area every year, but that’s a tall order. One thing everyone can make time and space for is growing sprouts. A “sprout” is simply a seed allowed to germinate and grow a shoot. Most people are only aware of bean and/0r alfalfa sprouts. In reality, there are a couple dozen seeds you can eat as developing shoots. We’ve all heard the arguments for “whole grains” and how nutritionally superior they are compared to the refined and processed choices. Sprouts are all that and more. They provide all the fiber and whatnot, but as a raw (live) food, they are packed with amino acids and enzymes that can help us utilize the nutrients in the other foods we eat. Take the wheat berry. 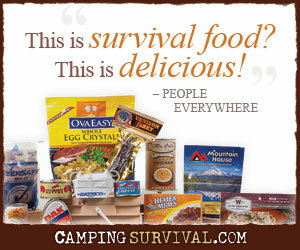 (As a prepper, you probably have buckets and buckets of that!) Each kernel contains the bran (outer protective coating), germ (the part from which the growing plant will develop), and the endosperm (the food source). Wheat is extolled for its vitamins, minerals, lignans, and other phytochemicals. It is a good source of Vitamins B and E, selenium, phosphorus, potassium, and magnesium. Except for those with gluten intolerance or similar conditions, whole wheat is considered a terrific food. Now consider what happens as a seed sprouts. When water penetrates the bran layer, it stimulates the germ to develop. The starch in the endosperm gives the shoot the energy it needs to grow. As any sprout shifts from seed to growing plant, its nutritional profile is magnified (by up to 600% in the case of vitamin C sometimes!). The percentage of some enzymes contained in the organism is highest at this point too. If allowed to grow until the first seed leaves appear, you can get a nice boost of chlorophyll too. There are many good posts and tutorials on sprouting seeds out there. No fancy equipment is needed. It can even be done in a canning jar. Alternately, you can purchase a seed sprouter. This is what we have and like a lot. With this set-up, I can start a new batch of seeds every day or so and I only have one thing to add water to or harvest. Which seeds you turn into sprouts will largely be a matter of what fits your tastes. There are a few things you should not sprout. But there are plenty of things you can use to produce a variety of nutrients and flavors. You can purchase sprouting seed mixes to get you started in finding your favorites. This is how we started out. We now enjoy things as varied as clover, wheat, broccoli, dill, fenugreek, and radish as well as the more traditional bean and alfalfa. I have learned that I must stick a little masking tape label on the side of the tray to identify what is in it. In the time between adding the seeds and harvesting, I tend to forget which kind I put in each. Seeds and the resulting sprouts should be handled carefully (with clean hands, containers, etc). Every so often, a news story breaks about people getting food poisoning from sprouts, but as far as I know, they are from commercial sources. Sprouts thrive in the same environments that some germs do, so always take care to wash everything well, refrigerate or eat them when ready, etc. Also, here are a couple lessons learned the “hard way” (pun intended). Pick through your sprouted beans carefully! We nearly broke teeth the first time I put bean sprouts on a salad. Even though in my head I knew that it was common for a few seeds in any given batch to not germinate, it did not occur to me to examine them all before tossing them in. Those beans that had not sprouted were like little rocks! Also, we found that adzuki beans tend to stay rather firm even when sprouted and we will probably only use them when we intend to add them to soups or other foods where they may be softened by cooking. Sometime in the future, I may do one more post on some additional ways you can use sprouts besides the age-old salad. In the meantime, if you have some favorites, please mention them in the comments section. and it claims to lower stainings and dark areas appearing on your skin within a couple of weeks. Once in a while I would cook bean sprouts and my two teenage boys love it, but my picky 7-year old son thinks otherwise. venture that I am simply now running on, and I’ve been on the look out for such information.